Food insecurity affects 1 in 8 people in west Michigan. Among children, 1 in 5 is food insecure. H.O.P.E. Gardens is addressing this problem by teaching people a simple, affordable way to grow their own food. Our hands-on programs and services teach people of all ages how to grow food through an affordable, low-maintenance, organic method called regenerative gardening. We install community gardens in places where access, finances, and time are barriers to healthy and affordable food. We also provide gardening workshops, consultation, and support for people starting home gardens. We offer experiential education programs for grades K-12. We help students plant and tend a garden, along with related biology lessons. Our extensive curriculum, developed in partnership with the GVSU education department, meets all current educational standards. 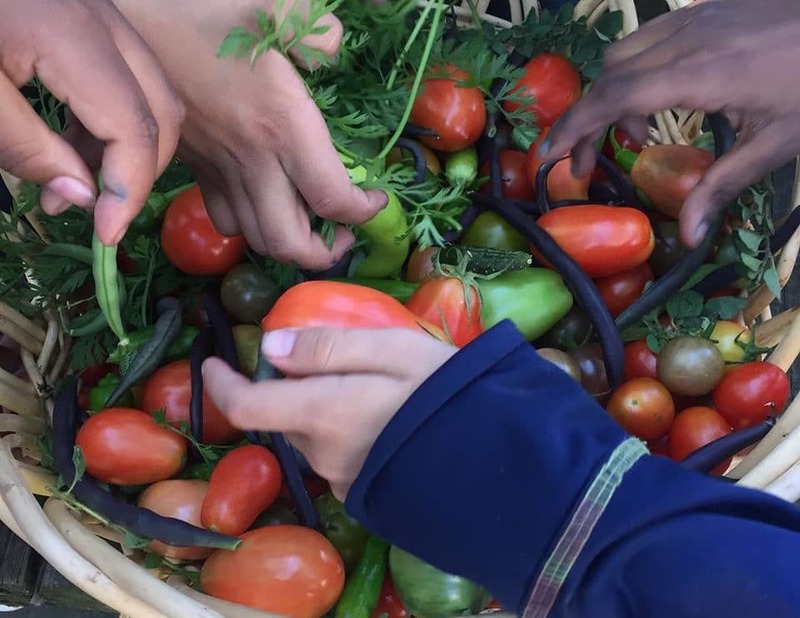 We connect schools and communities through our seed sharing program. We sell our organically-grown heirloom plants to raise money for gardening programs, and we donate extra produce to local food pantries. Regenerative gardening recreates the conditions in which plants naturally thrive. It’s inexpensive and easy to start because It doesn’t rely on chemicals, tilling, or any special equipment. Unlike a traditional garden, a regenerative garden is covered with mulch, which retains water and nutrients for the plants, minimized weeds, and enriches the soil for future planting. Julie and Rich Brunson, co-founders of HOPE Gardens, have personal experience with food insecurity and unsuccessful gardening. They are passionate about empowering, connecting, and feeding people and communities. HOPE Gardens partners with a diverse team of teachers, administrators, community volunteers, undergraduate students, master gardeners, and other nonprofit agencies.